Clutching at his knee, desperately fighting off the pain of a torn knee ligament, Kyle Brown saw the chequered flag of his Blitzboks career being waved, as he lay prone on the pitch of the Singapore National Stadium. The 30-year-old forward had just suffered a serious injury in his 65th tournament for South Africa – very similar to the injury he suffered at the HSBC Cape Town Sevens in 2016 – and the thought dawned upon Brown that his 327th match for his beloved country was indeed his last. After the Cape Town injury, Brown missed the remainder of the 2017 season, in which the Springbok Sevens clinched the HSBC World Rugby Sevens Series title. It was Brown's second taste of World Series glory, as he had just broken into the Blitzboks ranks when they won the title for the first time in history in the 2008/09 season. His recovery was hard, but that was the road Brown knew he had to travel and a run of seven tournaments, including the Commonwealth Games, justified the sacrifices he had made. When the Blitzboks went back-to-back in winning the World Series again, even more so. This time though, again broken on a rugby pitch, Brown heard lots of voices in his head. “To be honest, I thought that was it as the idea was that I would call it a day if I came through the season unscathed,” Brown recalled that fateful day in late April. As he started his recovery process, the will power and desire to beat the odds, grew stronger and stronger. 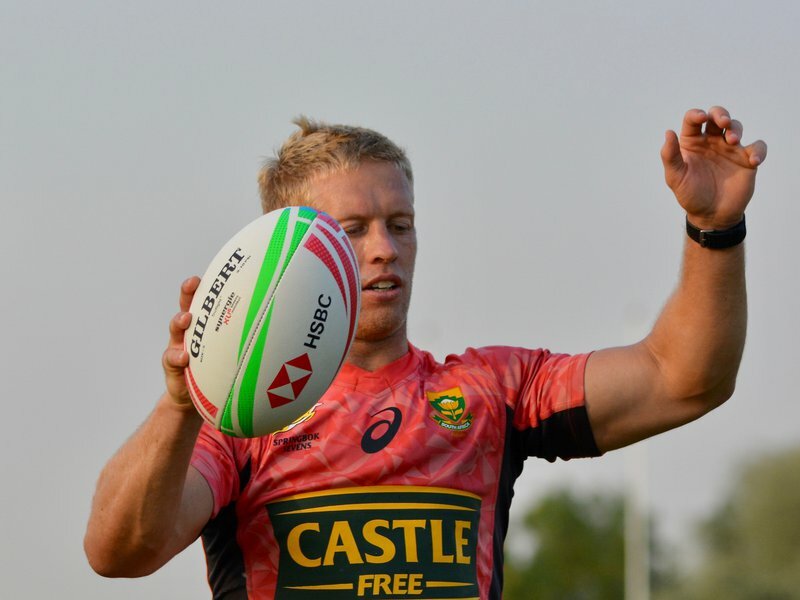 And it finally came to fruition – a second time – when Neil Powell named him into the squad to travel to Dubai for the opening leg of the 2018/19 HSBC World Rugby Sevens Series. “It was an incredible feeling,” said Brown. “The medical staff at SAS and our management were wonderful. We had set the challenge to play again come Dubai and I am very pleased that I could make it. Brown's return could not be more apt than at The Sevens, the home of rugby in Dubai, where he debuted a decade ago as a fresh faced flanker with a mullet. “Yes, it has been nine World Series tournaments and a World Cup here since, so I had my fair share of fun in this place,” Brown smiled as the team started their preparation for the big event, which kicks off on Friday when the Blitzboks take on Zimbabwe, Samoa and Argentina in Pool A. “Dubai is a wonderful setting to play rugby. The weather is great, the crowds are great and we have good support here. This is a special place on the circuit no doubt,” added Brown of the venue where he earned three gold medals in nine tournaments. Play – now this is a word Brown uses with a broad smile. “I don't think there is much of an expectation from me, I just have to let the legs pump and do my bit. We have an incredible team with some wonderful players and I need to make sure I do my part,” said Brown as he sprinted off for kick-off drills.